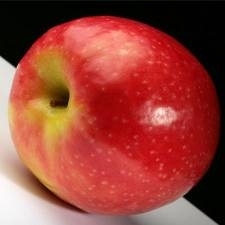 An apple a day keeps doctor away. A pregnant woman needs lots of nourishment during her entire period of pregnancy. Some women due to their morning sickness will not eat a lot. For them, this drink is a great boon and this can be had immediatly after preparing. In a juicer blender, grind the apples (if the juicer have its own filter the better, if not the juice have to be strained using a muslin cloth). Blend it till it is smooth and a fine paste. Add the lemon juice, sugar or honey and mix well. Serve with the ice cubes. This juice is to be made immediatly after cutting the apples so as the nutritional value in it is not lost. The dash of lime juice will help in getting releived from morning sickness. Honey will help in increased strength(as it have iron content in it). Ice cubes also help in reducing morning sickness. Too good for kids and Pregnant women. It will help a lot during the first trimester, if the women sips the juice slowly.